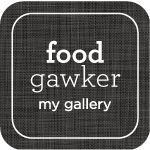 delicious inspiration. 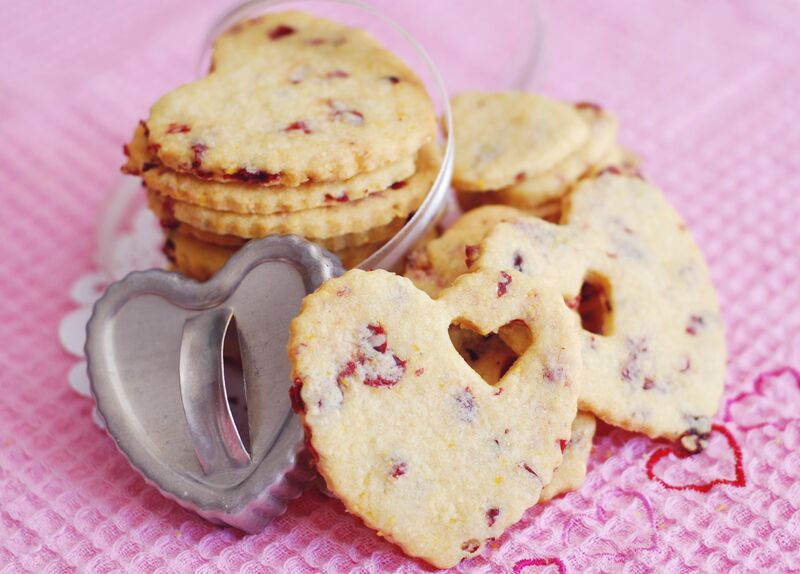 : Cranberry Cornmeal Heart Cookies. This recipe is delicious! 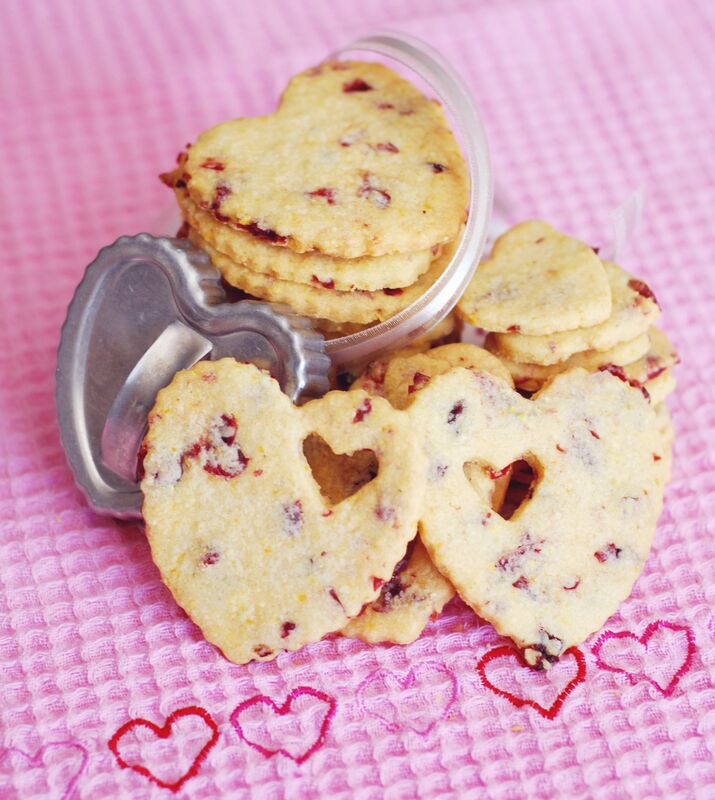 I made these yesterday, with clementine zest, and similar heart shaped cookies cutters. They were FANTASTIC! A buttery crunch, a sugary crumble, and a light scent and taste of citrus. Perfect! and absolutely delightful with a mug of tea. However, at the complaints of my dad, that I never make "normal cookies," I edited this recipe this evening in order to make them chocolate chip. 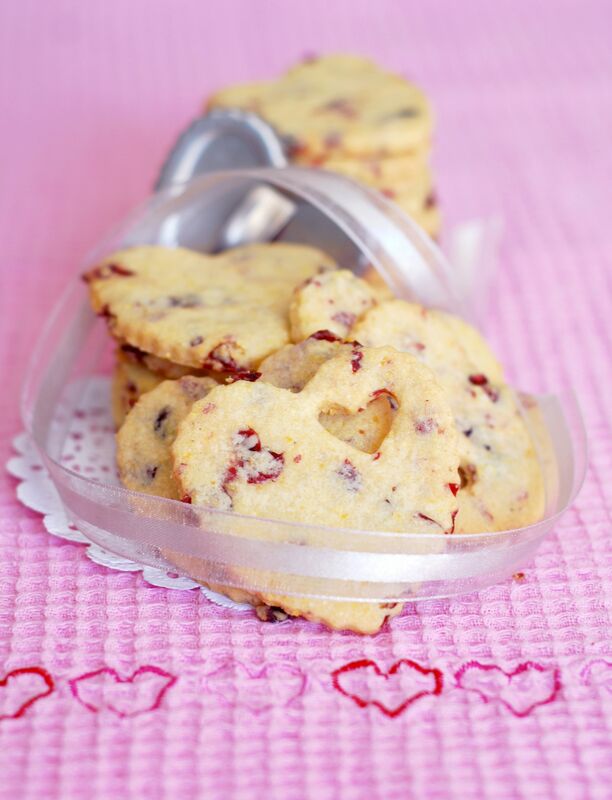 I halved the recipe, and used a full tablespoon of vanilla, instead of the orange zest, and a 1/4 cup chocolate chips, instead of the dried cranberries. Although they were a slight hassle to roll thin, with the big chocolate chips, these were also very good, and worth giving a shot!